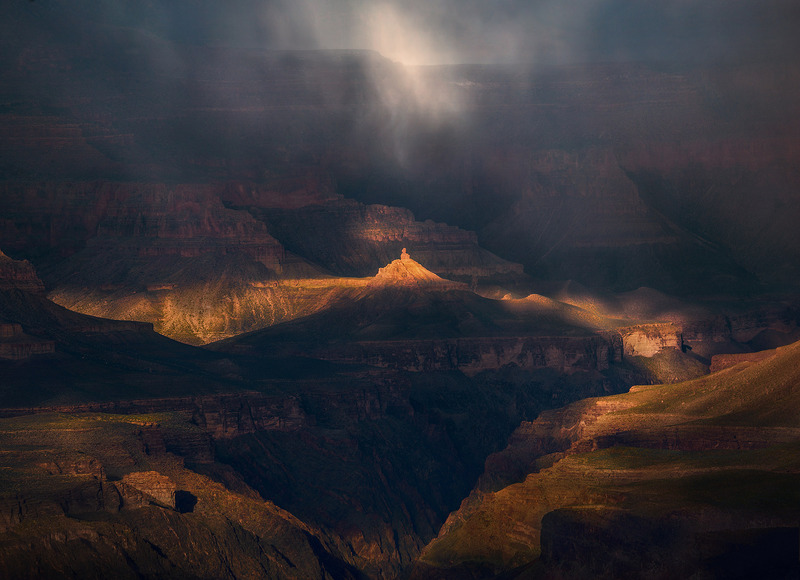 Snow fell in squalls this morning catching the light nicely above illuminated features below on the South Rim. . Photo © copyright by Marc Adamus.